You can win tickets to this classic car show by telling us why you’d like to win a pair of tickets. 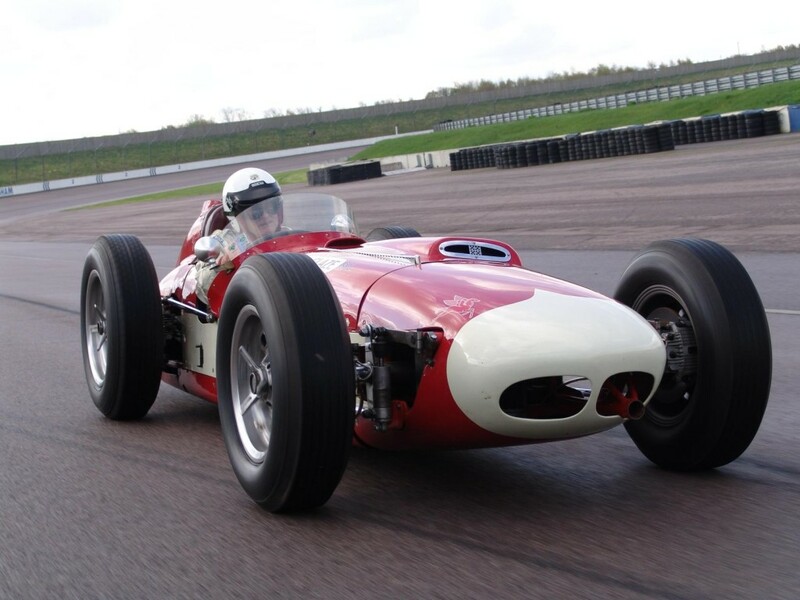 The Sywell Classic – Pistons and Props will be held at Northamptonshire’s Sywell Aerodrome on 28th and 29th September. Bringing performance to the fore is a selection of cars dating from the 1930s through to the fire-breathing 1980s Group C sports cars and 1990s Formula One cars. They’re sure to set the pulses racing as they show just how far the performance, handling and braking has advanced down the decades. 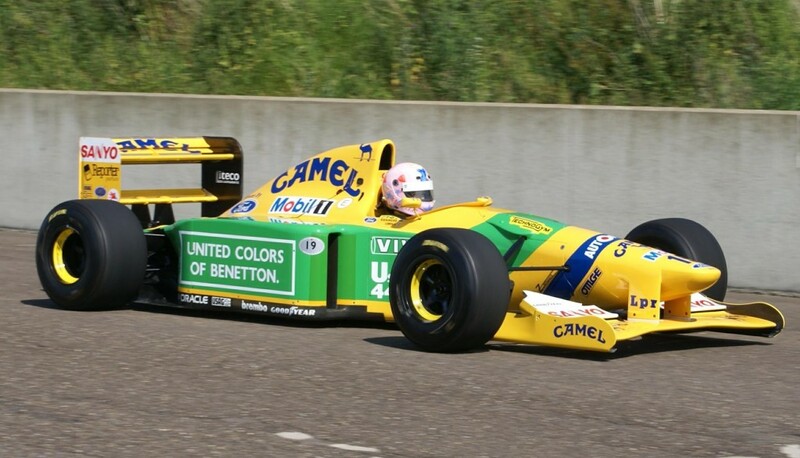 Among the 50 cars taking part is Michael Schumacher’s first Grand Prix car, a Benetton Formula One (below) and it’s sister car that belonged to his 1990s team-mate Martin Brundle. It is thought that Sywell Classic could be the first time the cars have been on a grid together since Schumacher’s Belgium GP victory in 1992. Continuing the ‘90s F1 theme is the iconic Camel-liveried Lotus 101. There’s more power, old-school style, in the form of Tony Bianchi’s Farallac, the Cadillac-powered Allard-based sports car. For pre-war British single-seater performance, see the 1936 Brooke ERA Special and the Lagonda-based 1935 Eccles Rapier. Showing how things were done Stateside, Stuart Harper’s Kurtis-Offenhauser roadster (below) adds a touch of star-spangled speed. Also set to delight the crowds is a 1980s Silk Cut Jaguar and a D-Type Jaguar from the 1950s, and there are more sports cars including a 1960 Lotus Elite, which paved the way for aerodynamic efficiency over brute force as well as a 1958 MG Sprint special and a 1958 Buckler DD2. Other cars entered include a V8-engined Vauxhall Firenza, a 1965 Ford Mustang and, representing the backbone of the British classic car movement, a Jaguar MkII and an MGB. Look out too for a dozen fantastic traditional hot rods, brought by members of the Hill Climb and Sprint Association and Vintage Hot Rod Association. Interest in sprinting is on the rise because of its low costs and participator friendliness, and the Pistons and Props sprint should encourage more people to take part in this truly British form of motor sport. As well as the live action on the ‘Racing Runway’, 20 classic and vintage Dragsters will go head-to-head on the ‘Sprint Strip’.  There will also be static displays of over 300 cars from some of the UK’s leading classic motoring clubs to enjoy. Chipmunks, Be2s, Tiger Moths and Tomahawks are just a few of the iconic planes taking to the skies. Plus there will be breathtaking aerial displays from Hangar 11’s Spitfires, the Trig Aerobatic Team’s Pitts Special S-1D biplanes and the Breitling Wingwalkers, the World’s only aerobatic formation wing walking team. Back on the ground, and a vintage fun fair, the Wall of Death, and sideshows will keep families entertained. Music will be provided by all girl harmony group Elle and the Pocket Belles and rockabilly band The Hound Dogs, with more musical acts to be added to the line up. Visitors can make a weekend of it by taking advantage of the excellent camping facilities as well as enjoying live evening entertainment on Saturday night. For more information, visit www.sywellclassic.com and don’t forget to enter our competition here.